This paper presents a review of the subwavelength interference effects of light in structured surfaces. 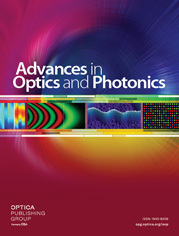 Starting from the anomalous interference in simple structures such as double nanoslits, thin films, and catenary apertures, the theories and applications of light–matter interaction in layered, periodic, and aperiodic subwavelength structures are discussed. Two basic platforms, i.e., Young’s double slits and the Fabry–Perot cavity, are used as prototypes for the investigation of the complex interference of surface waves. It is shown that these novel phenomena could dramatically reduce the characteristic lengths of functional devices and increase the resolution of optical imaging. By engineering the dispersion of surface waves, broadband responses beyond traditional limits in both temporal and spatial regimes have been demonstrated. As a final remark, the current challenges and future trends of subwavelength interference engineering are addressed.